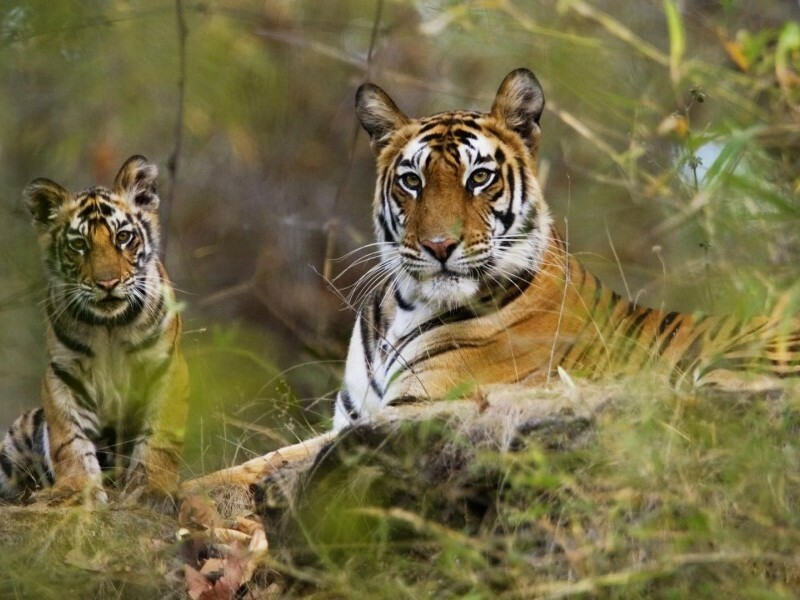 Bengal tigress and cub, Bandhavgarh N. P.
A wild tiger sighting is an unforgettable experience, and this 11-day itinerary focuses primarily on encountering these iconic predators in the wild. 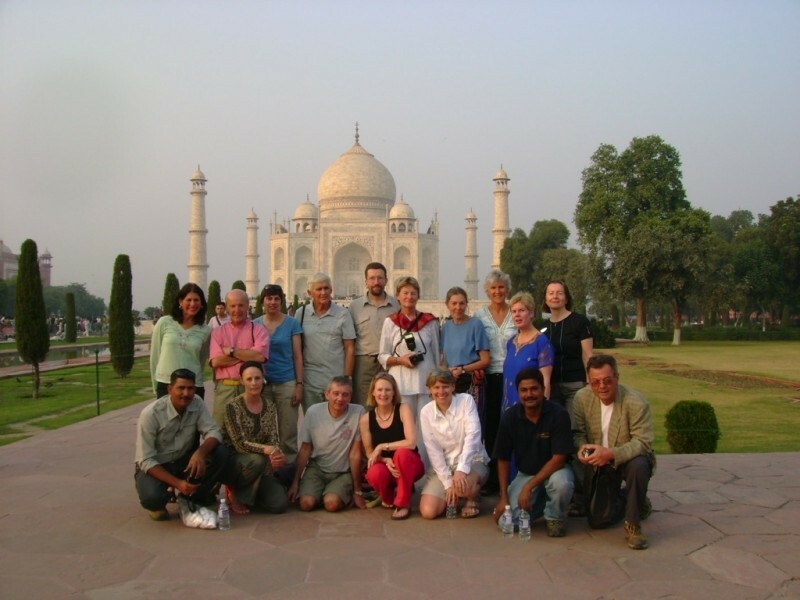 But there is a cultural dimension, too, as we visit the incomparable Taj Mahal and other sights in Agra, enjoy an overnight train trip, and spend time in the vibrant city of Delhi. It’s an exciting trip for wildlife enthusiasts eager to see the tiger in its natural environment, and for anyone with a broader interest in India. After a day spent acclimatising and sightseeing in Delhi, we’ll catch the morning flight to the central Indian city of Jabalpur, from where it’s a 4 or 5 hour drive to Bandhavgarh National Park, our base for the next six nights. Bandhavgarh – set deep in the sparsely populated wilds of the central Deccan plateau – is renowned for having the highest density of tigers of any Indian reserve, and is a fabulous place in which to see a host of other animals and birds, too. Our tour is specially designed to give you a series of ten safaris at various times of the day, in order to maximise the chances of a tiger sighting, and also to witness the changing natural environment through different parts of the day. After five full days spent at the national park, we’ll head for the railway station and take the train north to Agra; it’s an enjoyable overnight trip, a great chance to experience Indian culture up close. Having arrived in Agra in the morning and checked into our hotel, the afternoon is spent exploring the majestic Fort, one of the most spectacular Mughal forts in India. Early on the following morning, it’s time to visit the incomparable Taj Mahal, one of the most awe-inspiring structures in the world. It is the symbol of the true love of Emperor Shah Jahan for his wife Mumtaz Mahal, wrought in white marble. Later in the day, our final leg of our journey brings us back to Delhi for one last night, and a chance to do some last-minute souvenir shopping before flying out the following day. Arrive at the international airport of Delhi. After a traditional 'Swagat' (Welcome) our KVT’s representative would assist you at the airport and transfer you to the hotel for check-in. Rest of the day is free to relax or to explore the surroundings. Morning we will be transferred to airport to catch the flight from Delhi to Jabalpur. Later we drive by surface from Jabalpur to Bandhavgarh (Distance: 200 Km appx). Upon arrival check-in to the hotel and relax. 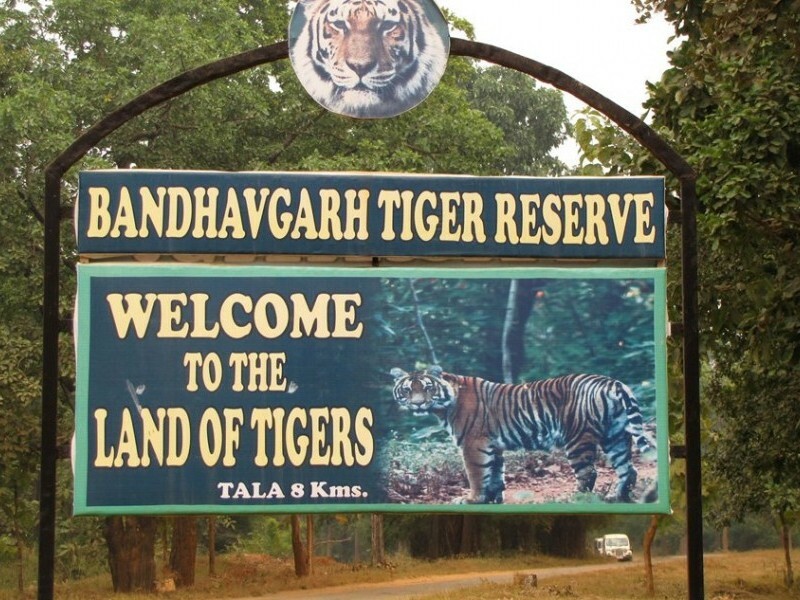 Bandhavgarh National Park is located in the Umaria district of Madhya Pradesh (Central India). Sprawl over an area of 450 Square Kilometers, the Bandhavgarh National Park is known for its breathtaking array of flora and fauna. Spread at vindhya hills in Madhya Pradesh, its geographical positioning has gifted a repository of over 250 species of birds and 22 different species of mammals. 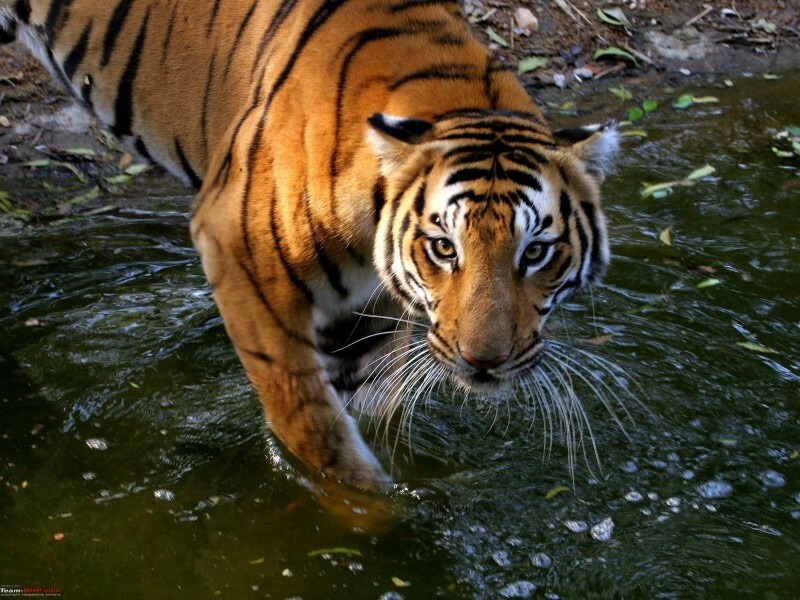 The density of the tiger population at Bandhavgarh is one of the highest known in India. The park is simply known for the various species of wild creatures and is best known for the preservation of the most astonishing tiger species. 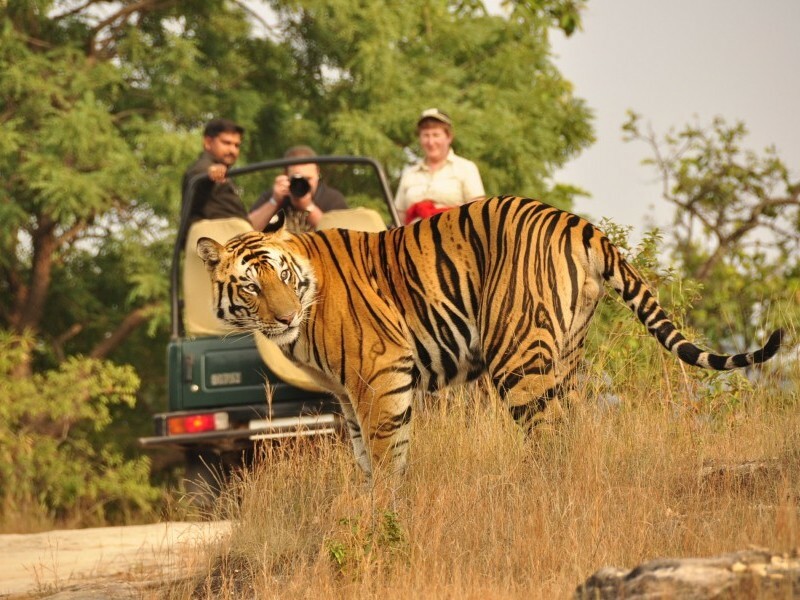 The presence of the abundance of tiger species in Bandhavgarh has drove many animal lovers in this explicit arena. The park has a large breeding population of leopards, and various species of deer. Bandhavgarh National Park consists of mixed vegetation ranging from tall grasslands to thick Sal forest and so is the perfect habitat of variety of animals and birds. The best way to explore the wildlife is by a 4X4 Jeeps escorted by a naturalist. Today we will have 2 jeep safaris into the park, trying to find elusive tiger. We wake up early morning and leave for our 1st safari into the park, track the tigers and other wildlife through the morning and return to the hotel. We have a break during the heat of the day before our 2nd jeep safari in the afternoon. Today also we take 2 jeep safaris into the park, in search of elusive tiger and to explore other wildlife. This morning we have free time to explore the surroundings. Afternoon, we will be transfer to Katni Railway station, to catch the overnight train to Agra. Morning we will reach Agra by train. Upon arrival check-in to the hotel and relax. Afternoon we visit Agra Fort, whose mighty red sandstone walls enclose the beautiful white marble Pearl Mosque and the palaces, halls, courtyards and fountains of his sons and successors, Jehangir and Shah Jahan. The Fort can be more accurately described as a walled palatial city. We spend evening visiting the bazaar where the local artisans do the famous fine marble inlay work. 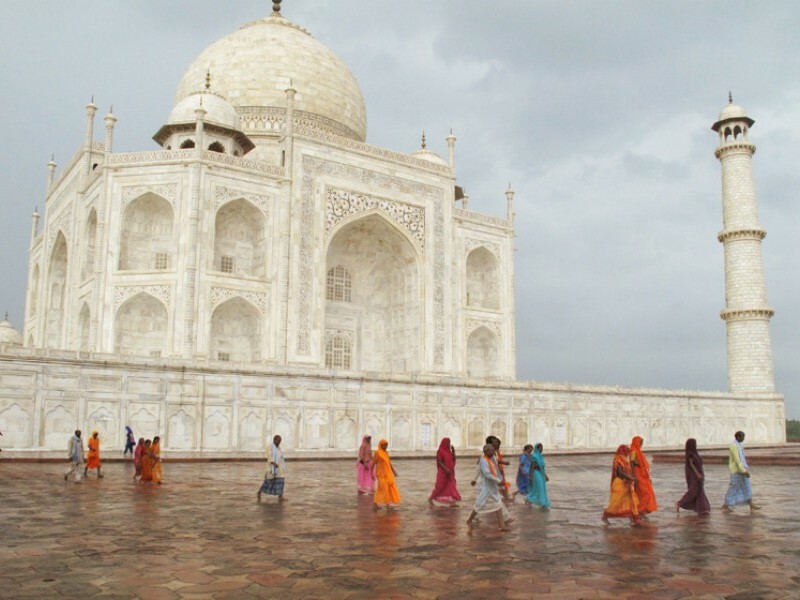 Today we will rise early to visit the beautiful white marble Taj Mahal at sunrise (remains closed on every Friday). Taj Mahal is a symbol of eternal love which stands on the banks of River Yamuna. 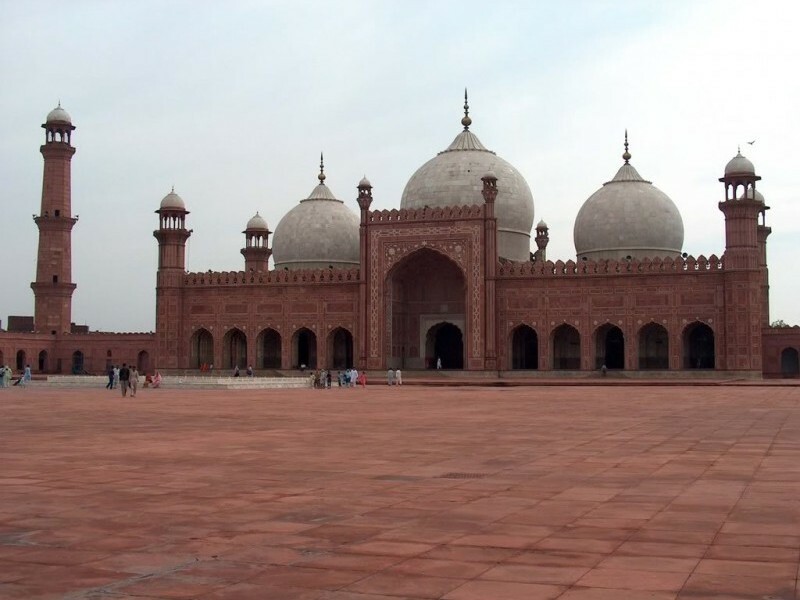 It was built by the 5th Mughal Emperor Shah Jahan in the memory of his beloved wife, Mumtaz Mahal, who died in 1631. The Taj Mahal is serenely beautiful and never fails to amaze a first time visitor. 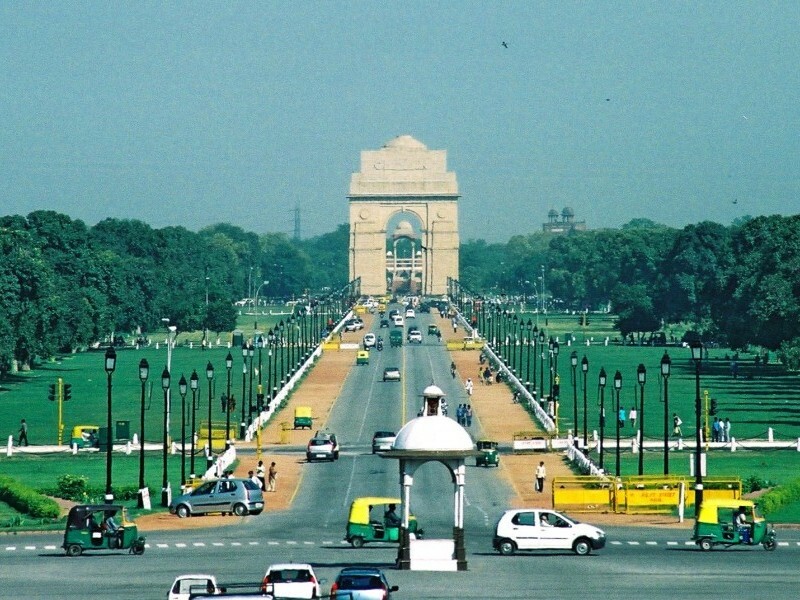 During afternoon, we drive to Delhi (Distance: 240Km appx). Upon arrival, check-in to the hotel and relax or explore the market. Today, you will be transferred to the airport to board the flight for your onward destination.